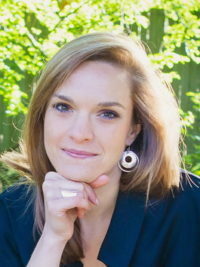 Alexandra Havrylyshyn is a J.D.-Ph.D. Candidate in Jurisprudence and Social Policy at Berkeley Law. Her dissertation focuses on women and girls who had traveled to Revolutionary France as slaves. Upon their return to New Orleans, they submitted often-successful freedom petitions in the 1830’s-1850’s. While state legislation weighed in favor of continued enslavement despite travel to free territory, the petitioners’ lawyer grounded their arguments in higher sources of law: constitutional and international. In a patriarchal society stratified along complex racial lines, how did enslaved women and girls gain access to justice? This is the central research question of Chapter 2, which is supported by the Center for Race and Gender. The bias of the historical discipline towards written records presents challenges for research on illiterate, enslaved petitioners. Therefore, this project draws on tools from historical anthropology and critical legal geography. Property records of various sorts, including the records of the nation’s first African-American Catholic congregation, can be used to answer the central research question on access to justice. This study contributes to a growing literature that complicates the dichotomy between property and personhood, and to understandings of black mobility within the French Atlantic world.